A coming of age story with a mystery. Kya finds herself abandoned by her family at a young age and has to fend for herself in a shack in a North Carolina marsh, She is rejected by the townspeople and lives as an outcast. Kya seems a part of the natural world around her and becomes an expert on the plants and wildlife of the marsh. An engaging story. A mystery for nature lovers. Virgil Wander is the downhearted owner of the Empress movie theater who has a near-death experience when his car accidentally (?) plunges into Lake Superior. Greenstone is a small Midwestern town on the decline since the closing of the mine. The remaining residents are a hardy and quirky bunch. I loved the way they are always in each other’s business. Less about what happens and more about the everyday trials and triumphs. A pleasure to read. Two stories are linked together by a house and told in alternating chapters. The first is contemporary. 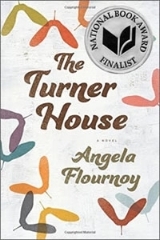 Willa and her family are down on their luck and living in an old inherited house which is falling down around them. The second takes place in the 1870s. Thatcher is a schoolteacher living in the same house, already in disrepair, who befriends a famous scientist. Both stories are equally compelling. 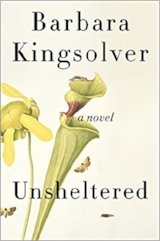 If you aren’t already a fan of Barbara Kingsolver you soon will be. If you’ve read Homer’s Odyssey, the cast of characters here will be familiar. The hero of this novel, however, is the titular Circe. Ancient Greece comes refreshingly to life in this gorgeous epic that includes the familiar stories of Scylla, Daedalus, the Minotaur, and, of course, Odysseus. The descriptions here are so lush, you will never want it to end. Probably the best book I’ve read this year! Following the protagonist Ursula Todd as she lives and dies multiple times in wartime England, this novel is a humorous and humane exploration of what life could be like if we lived the same one over and over (and over). You'll want to read it again and again! 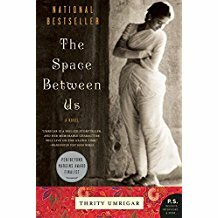 Bhima returns as the main character in this sequel to The Space Between Us. After more than twenty years of working for the upper-middle-class Dubash family, Bhima is now left to find another way to support herself and her granddaughter, Maya. Things take an unexpected turn when she partners up with Parvati selling fruits and vegetables. A story of gender, class, strength and friendship. A wonderful sequel. 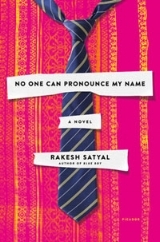 This book vividly captures the social struggles of modern India in an engaging novel of honor, tradition, class, gender and family. It is the story of Bhima and the woman she has worked for and the bonds they share as well as the class discrepancies. Although it is not a “happy” read, the writing is so descriptive that you feel as though you can see, smell and taste India. A very interesting read. At first, Alaska seems like an answer to this family’s prayers… This book is a page turner about love, loss and the fight to survive. I loved learning about the extreme seasons in Alaska as well as the engrossing story. It was hard to put down yet I wanted to savor it to give it my full attention. of the past. This book is based on a true story. Very well written and enlightening – Don't miss it! An African-American Labor and Delivery nurse with over 20 years experience is reassigned from the care of a baby born to white supremacists. What happens next is a well-written story with eye-opening insights as to how the characters came to be. 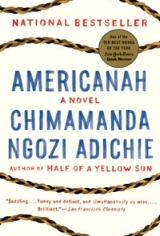 A richly told story of empathy, prejudice, and compassion. 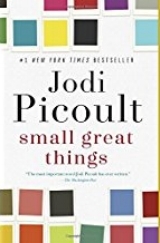 If you are a fan of Jodi Picoult do not pass this up. A quiet masterpiece with an Irish family at its center. It begins in the present time with the main character's eldest son losing his life in a car crash. His mother Nora reaches back fifty years to a village in Ireland and tells the story of how she and her sister Theresa at 21 and 17 years of age travel to Boston. 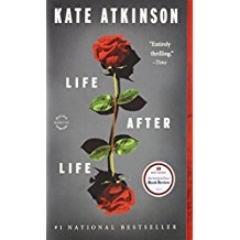 Over the course of the novel we learn about the Rafferty family, grow with them and experience their troubles and their secrets. A wonderful novel told in a simple and unassuming way. If you liked Brooklyn, you'll love this. Sadie Blue is a pregnant teenage bride. Her husband is a cruel brutal man. 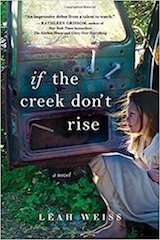 She feels trapped in a backwoods town in Appalachia. Written with a regional twang, the story is told by ten different characters each in his own unique voice. I found this book engrossing right up to the shocking conclusion. A perfect fictional companion to J.D. Vance’s Hillbilly Elegy. 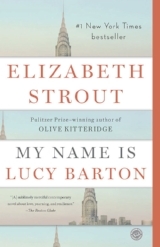 Pulitzer Prize winner Elizabeth Strout presents us with an almost polar opposite of Olive Kitteridge in Lucy Barton. Two sensitive subjects, social class and mother-daughter relationships are approached with an un-judgmental objectivity. Yet I would challenge any daughter not to identify with that often-fleeting, intense longing for her mother, no matter the childhood memories. This is a short, but very thought-provoking read. A wonderful and heartwarming story about a group of Indian immigrants living in Cleveland, Ohio trying to fit into American society and their own families. Saranjana has just sent her only child away to college and suspects her husband is having an affair. She takes comfort in a writers’ club and has quite a talent for it. Harit is a bachelor grieving over his sister’s death and living with his aging mother. His only friend is Teddy, a flamboyant co-worker. Unlikely circumstances lead to Saranjana and Harit meeting but what follows is not what you would expect. This book is charming, touching and funny. Acclaimed short-story author George Saunders has produced an inventive and exhilarating first novel. Equal parts ghost story and historical fiction, Lincoln in the Bardo concerns the loss of Lincoln’s beloved young son Willie to typhoid fever in the midst of the Civil War. Reminiscent of Edgar Lee Masters and Sherwood Anderson, if you are looking for a book that is playful, full of pathos, and just a little bit different, then this one is for you. Two Portuguese Jesuit priests travel to Japan to perform missionary work. They also hope to find a fellow priest who denounced his faith after succumbing to torture. The narrative takes place during the 1600s at the height of Christian persecution in Japan. This is a somber book, elegantly written. We learn much about Japan and its powerful and cruel warlords. We also learn much about faith and self-doubt. Silence refers to the silence of God. This book is intense. A young couple on a day trip from Las Vegas find themselves stranded in the middle of the desert when their car dies. Rescue finally comes, but what transpires is beyond imagination. A teen runaway is abducted from a Las Vegas diner and is left chained in a remote cave. She too is rescued in the same mysterious manner. What follows is an eerie sequence of events as the three victims are faced with the powerful forces of good and evil. A suspenseful nail biter that will keep you up. Winner of the Pulitzer Prize and a favorite of the Fireside staff. 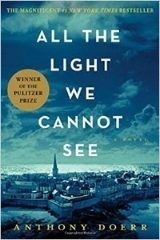 A finely crafted historical novel about a blind French girl and a German boy whose paths come together in WWII France as both try to survive the devastation. Simply a great read! Addie and Louis are both in their seventies, widowed, and living in Holt, Colorado. They know each other, but not very well. One day Addie pays a visit to Louis and asks if he would consider coming over to sleep with her sometimes, just to lie in the dark and talk, for company. Their relationship grows despite opposition from younger family members and town busybodies. The writing is wonderful in its simplicity and the characters are treated with respect and dignity. Truly delightful. A very well-written historical novel set in Texas in 1870. An elderly traveling man is given care of a 10-year-old white girl who was kidnapped by the Kiowa Indians four years ago. He is to convey her to some distant relatives. It will not be an easy journey. One of the best books I have read in 2016. An odd book with a few unexpected twists and turns. Very enjoyable reading and would make a fine book club choice. It’s a spy novel, it’s a thriller, it’s an immigrant story, and it’s a confession. The narrator is know only as the Captain, a communist sleeper agent living in America. He tells the story of the Fall of Saigon and its aftermath from the point of view of the Vietnamese. The narrative is darkly comic and crackles with irony. You will think about the Vietnam war in a completely different way. A compelling and thought-provoking read. Thirteen siblings were raised in the Turner house. Each of them has a unique story, as do their parents. We are easily drawn into their lives and experience their successes and failures right along with them. The book is also a tribute to the City of Detroit as seen through the eyes of the Turners. Sometimes laugh-out-loud, sometimes heartbreaking but always real. We are immediately introduced to Fiona Maye, a brisk and efficient judge who presides over family law cases. Her personal life is in disarray. After a long and childless marriage she has dismissed her husband from their home. Here the novel turns to its central event. Fiona has to decide the fate of a teenage boy with leukemia. His family are Jehovah’s Witnesses and the blood transfusions he needs to stay alive are forbidden. 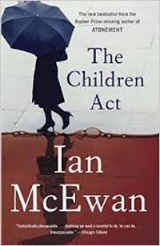 What follows is the building of a relationship between the eminent judge and a dying boy, written with elegance and sensitivity. Suspenseful to the very end. Centered around a group of Australian POWs in 1943 captured by the Japanese. The Emperor has commanded the building of a railroad from Siam to Burma and it is a matter of duty, honor, and national pride to see its completion. These unfortunate prisoners are ill-equipped for so gargantuan a task and their numbers decrease daily as they fall to the horrors of disease, starvation, and human cruelty. Although categorized as fiction I felt that Mr. Flanagan was writing from first-hand knowledge. Powerful. This one will stay with you. In today’s suspicious world of paperwork and procedure this story could probably never happen. As a bereft science teacher leaves for his annual RV trip without his recently deceased son or divorced wife, an unexpected mechanical problem changes his life forever. If you are wondering what happened to the old American spirit and need a heart warming story, this is perfect. But expect a few tears along the way. My first thought when I opened the book jacket was "Not another WWII book." That thought disappeared immediately as I began to read. The story tells of two French sisters who have nothing in common and how they take very different paths during the French Resistance. It also tells much history, but shows a part of history rarely seen: the women's war. Don't miss this one. Ifemelu immigrates from Nigeria to the U.S. to complete her education. She is stereotyped as an African American although she has nothing in common other than the color of her skin. This book deals with immigration, racism, feminism, discrimination and independence. It caused me to look at the situation from a completely different point of view. This is one of the more interesting books I’ve read in a while. Extremely thought-provoking and well-written. If you are a fan of Southern fiction, well-developed characters, lots of dialogue and a great human interest story that takes place during the tumultuous and often brutal times in pre-Civil Rights Mississippi, you will like this book. The stories of two women, one Caucasian and one African American, are woven together in a sometimes heartbreaking, sometimes hilarious way as we get to know each one, as well as the souls who inhabit the town of Delphi. There’s a reason the book has almost 500 pages. . . the characters and story are so well-developed that you feel you know them personally. A thought-provoking look into the past and the struggles of a people willing to put their lives at risk in the attempt to be treated as human beings. 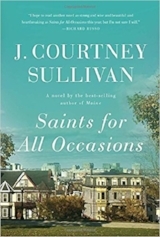 A good choice for those who enjoyed Kathryn Stockett’s The Help. Snap up this well-written work of historical fiction and you will be rewarded with a story of determination, courage, kindness, mystery and what it means to be a family all set amidst the backdrop of World War II during the time of the Blitz on London. The story unfolds with a present-day young American scholar at Oxford who is tasked with the assignment of interviewing a ninety-three year old artist about her life during the Blitz. As the older woman revisits her past, it becomes apparent that there are secrets and trials of the heart too painful to reveal until now. This is a story of the evacuation of the children of London just before the Blitz, and how one night changed the fate of two sisters forever. love? Something is lost, someone is found and we have a lovely story. This is a contemporary story of love, family, hidden motives, and personal discovery. It’s 1987 in New York and June Elbus’s beloved uncle, celebrated artist Finn Weiss, is dying of AIDS. One of his last paintings is of June and her sister Greta, which becomes a focal point of their grieving process. After he dies, June is sought out by Finn’s committed partner, Toby, who the family angrily blames for Finn’s death. Their friendship grows as they share memories of Finn, but Toby has secrets of his own. This coming-of-age story reminded me of all the fears and misconceptions in the early days of AIDS, that teenagers’ complex lives can be underestimated by their parents, and that we should be very careful of personal prejudices. Molly is close to “aging out” of foster care and must perform community service for a minor infraction. This service leads her to Vivian, an elderly woman who wants her to help clean out her attic. They learn through this that they are not so different after all. This story, which flips from the present to the past, is rich in detail. 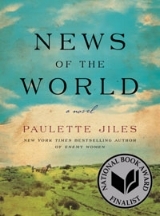 This is a great choice for historical fiction readers. What do you do when making the person you love happy also means breaking your own heart? Will is moody and mean. Louisa is ordinary and polite. Their friendship brings out the best in each. Then she learns of his shocking plans. She wants nothing more than to change his mind and plans accordingly. But will it work? This book is not to be missed. In Paris, 1942, the treasure-filled apartment of Marthe de Florians, an elite courtesan, was shuttered and locked. After her death, no one visited or claimed it, but the rent was paid for the next seventy years. The book tells two women’s stories. Marthe’s scandalous life in the Belle Epoque era is told through her journals, found in the apartment. April Vogt is the fictionalized Sotheby’s appraiser sent to catalogue and validate the treasures. Her biggest challenges are to establish providence for an unknown portrait of Marthe painted by Giovanni Boldini, bring it to a successful auction, find out who paid the rent and evade (or not) the advances of Parisian lawyer, Luc. A well-written tale inspired very loosely by the real friendship between two well-known present day New York chefs, one an elderly African American woman, the other a young gay man. Their lives become intertwined by an abiding love of Southern food and the comfort and ritual of preparing it for others. Each had childhood secrets too painful to unearth and each sought solace in their friendship and the food they loved. A sudden twist in the plot and the entrance of another surprising character leads to the unraveling of one of the secrets. One of the most unusual books I have read in quite a while. 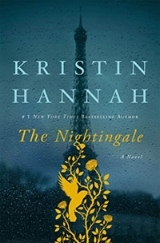 This historical novel is set in 1845 New York literary circles. Just as Poe’s “The Raven” becomes popular, Frances Osgood, a struggling poet becomes trapped in a passionate affair with Poe and a friendship with his much younger wife Virginia, who is more manipulative and vengeful than imagined. Like Poe’s work this story is full of twists and turns that will keep you intrigued until the end. The Rosie Project is a sweet and funny book about a brilliant man, Don Tillman, who decides to find the perfect partner. After launching his Wife Project, which includes a hilarious questionnaire intended to weed out imperfect candidates--smokers, makeup wearers, vegans (“incredibly annoying”)--Don meets Rosie, a woman who is so wrong, she’s right. A lovely southern story by the author of Saving CeeCee Honeycutt. Teddi is a fixer. She grows up in rural Kentucky repairing old furniture and parlays this skill into her dream of owning an antique and design shop in Charleston, South Carolina. 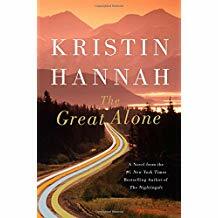 She must balance her life in Charleston with her broken family back home, including her mother who still wants to get a “real” job, and her missing brother who communicates better with animals than people. Victoria Jones is 18 and aging out of the foster care system, emotionally fragile and unprepared for life. Where do you go when you are so young and have no family to support you? The author weaves her story of survival with the people and events that molded her character. Victoria reached out to others with her unique ability to communicate through the language of flowers. Carl Hiaasen is a comic genius! As with all his novels (and I’ve read them all) I find myself laughing out loud and asking myself “Who comes up with this stuff.” Hilarious. Wicked Smart. I can’t say enough about good ol’ Carl. 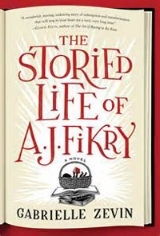 This is a wonderfully funny, quirky, and wildly entertaining novel. Bernadette Fox is notorious. To her Microsoft-guru husband, she’s a fearlessly opinionated partner; to fellow private-school mothers in Seattle, she’s a disgrace; to design mavens, she’s a revolutionary architect, and to 15-year-old Bee, she is a best friend and simply, Mom. The main character in this book is an incredible house built in the late 1920s for a newlywed couple in Czechoslovakia. 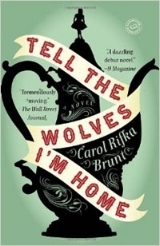 As World War II approaches this beautifully written story follows the occupation of the house by the Nazis, the Russians, and the Czech government. 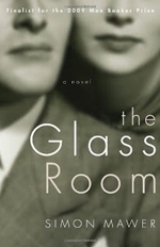 The story follows the family and the subsequent owners with each new inhabitant falling under the spell of the glass room. Although this is a fictional story, the house is still standing today and has been fully restored to its former beauty. This is a coming-of-age story about a boy in Montana during the summer of 1960. The author is one of my favorites and is a master storyteller. A pleasure to read. In 1791, Lavinia, orphaned aboard a ship from Ireland, arrives at a Virginia tobacco plantation. For the next 19 years we share her dangerous path between her slave family in the “Kitchen House” and her Master’s in the “Big House”. Every woman should read this book. It is as much our journey to today’s freedom as it was Lavinia’s. Probably the best Civil War novel since Killer Angels, though this one is perhaps less heroic and a bit more gritty. I recommend reading the “Author’s Note” at the end before beginning the book. Enjoy! A restaurant family leaves Mumbai after a tragedy. They settle in a small French town & open an inexpensive Indian restaurant opposite an esteemed French one. Chef Hassan Haj vs. the famous chef Madame Mallory. A favorite of my book group. I loved Pride & Prejudice or maybe I just love Colin Firth playing Mr. Darcy. He's the one I pictured as I read this incredibly romantic continuation of the story. It starts right after the end of Pride & Prejudice and takes the reader through the first months of their married life. The series continues with Loving Mr. Darcy and My Dearest Mr. Darcy and a fourth to come out this fall. I can't wait! Known for Alex Rider in his popular teen hero series, Horowitz has created a detective fiction mystery in the true Sherlockian and Agatha Christie style. The editor, Susan Ryeland, and an extensive cast of murder suspects is so convincing the readers might find themselves searching the internet for Alan Conway, the fictional author, and Atticus Finch, the stoic detective, only to discover Horowitz is indeed the author. If you enjoy anagrams and word games this is an added pleasure. A shocking double ending and a mystery within a mystery is icing on the cake of this truly engrossing narrative. If you’re looking for a fast paced, well-written, mystery/thriller, you need look no further than this debut novel from Michael Harvey. One of the best that I’ve read this year. Another intriguing story from the former editor of "Tender at the Bone." Young Billie Breslin heads to New York to become the assistant to the editor of Delicious Magazine. When the magazine closes Billie is retained to field complaint calls from former readers. Alone in the mansion headquarters, she embarks on a treasure hunt through the ancient library and a secret room. You don't have to be a foodie or a chef to enjoy New York's downtown food scene. The story, unique characters, and gingerbread are delicious.